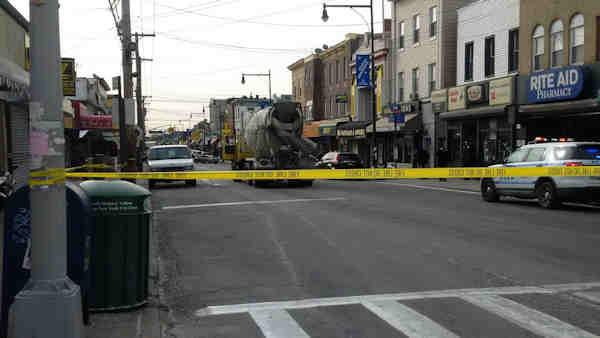 COLLEGE POINT, Queens (WABC) -- A pedestrian was fatally struck by a cement truck in Queens Friday morning. The female victim was hit at College Point Boulevard and 15th Avenue around 10:30 a.m.
She was rushed to Queens General Hospital Center in critical condition and later succumbed to her injuries. The cement truck driver stayed at the scene and is being interviewed.